Care to be Different > Articles > NHS Continuing Healthcare > Paying for social care but receiving NHS Continuing Healthcare funding? 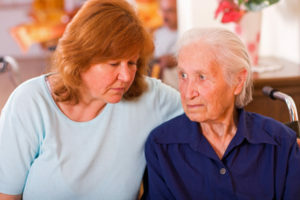 Are you receiving Continuing Healthcare – but still paying for social care? This is a question families frequently ask on our blog and on our Facebook page. So who does pays for social care when you receive NHS Continuing Healthcare? Let’s suppose your relative has an assessment for NHS Continuing Healthcare funding, and the outcome is positive and she is found eligible for that funding. That’s good news from a funding point of view. However, you may then be told that NHS Continuing Healthcare covers only health needs, and she will still need to pay for her social care. So the NHS is responsible for ALL care fees – and if your relative is in a care home, it covers the cost of that too. Your relative should not be charged for any so-called ‘hotel costs’. If anyone does tell you that the CCG will pay for your relative’s healthcare needs but their social care needs will be means tested, you can point them to the National Framework reference above. There are occasions where ‘joint funding’ will be recommended. This is where the cost of care is split between the NHS and the local authority. However, the local authority will of course means test its part of the package. The first question to ask if you’re told that the assessment outcome is ‘joint funding’ is simply to ask why. If your relative has sufficient health needs to warrant at least some degree of NHS funding, then insist on a full rationale as to why they are not receiving full NHS Continuing Healthcare funding. If you need care and you’ve been through the NHS Continuing Healthcare assessment process and you are genuinely not eligible for this funding, your care needs will become the responsibility of the local authority. This means your care is means tested. However, even if you don’t receive NHS Continuing Healthcare, you still don’t have to agree to a means test; you can simply start paying care fees. If you are told you need to be means tested before the NHS Continuing Healthcare assessment process has been carried out, insist on the Continuing Healthcare assessment first. No one should be asking you anything about your money or property until this has been done. It does’t matter how much money you have; it doesn’t matter whether or not you own a house; no one should ask you anything about this until the outcome of the NHS Continuing Healthcare assessment has been decided. If anyone tells you otherwise, refer them to our article: Why I shout at the radio. your business or care costs. home or as a condition of staying in the home). Am I right in thinking this will put a stop to their requests? Good starting point add in and cc LA safeguarding team as well as CCG accountable officer. That if they wish to evict they will have to go to court and the CCG will be “joined ” in the action the defence being as stated but also Coughlan Grogan et al .Let safeguarding know of the threats being made because CCG not meeting it’s statutory duty. In essence the comparator is being in hospital would Nhs charge you for a glass of non existent wine or a bed with a view? Thanks for the reply, Richard. I contacted safeguarding at the local authority when mum was put on 28 days notice, but they simply said it was nothing to do with them and wouldn’t become involved. The CCG have point blank refused to pay any more saying what they pay this home is in excess of the amount they pay anywhere. They also told me that “social care” was washing, dressing, feeding, etc and any “lifestyle choices” have to be paid direct to the home and agreed between me and the home. They will not get involved. They also told me that someone took a home to court about these fees and they lost. I spoke to the Citizens Advice about the issue of not getting what I am being asked to pay for.. Initially they said this was terrible, but took my number and called me back to say – yes, they can do this. Not right, but legal. The first three years of mums stay in the home she was in her room – Didn’t want to come and sit with the old people! Just over a year ago, she started trying to get out of her chair and staff found her on the floor a few times, and they told me she had to come downstairs so they could watch her. This is also on the latest NHS CHC review. If its a care issue that she has to be downstairs when all these additional “chargeable” activities are going on, surely that in itself is a care issue and the CCG should be sorting it out with the nursing home? Mum is so fragile, she is used to the carers and more importantly after nearly four years, they know her and look after her. A move would kill her. It does feel like blackmail – from the nursing home and the threats from the CCG to move her away from relatives. Brilliant site, keep up the good work. I just wondered if you were aware of the [local] documents that make many references to limiting care and funding based on budgets. It also blurs the lines about what needs the Local Authority (LA) are able to solely meet. Do you think these guidance notes are actually breaking the law? My Mother has late stage vascular dementia and we have been awarded a 40% NHS joint package, unfortunately because banded rates are less than what we pay as self funders it appears the care home expect us to make up the difference to there previous monthly fee. I am fighting this because the part we are paying, after financial assessment, is the 60% the LA would have to pay if we were under the limit. If a person secures funding and chooses a nursing home will Continuing Healthcare funding cover all the fees or do they impose a rate like the local authority does for care fees, so that relatives would need to top up? My auntie is 95 and I am the sole next of kin for her since March when she was diagnosed with heart failure. We have been amazed at the negative response from the local NHS trust. They seem to be quite happy for her to buy everything she needs. We have fought for her along the line and so far obtained a chair that they quoted £1000 for. We got this from the occupational therapist after putting the ball in their court. They wanted her to buy a hospital bed at similar price which we again managed to get them to provide. This she has never used as she cannot get her badly odema legs in and out, and she has slept in the chair for the last 5/6 weeks. She has now been admitted to hospital after a fall in the home and she has badly ulcerated legs that have been being dressed daily. Her eyesight is failing, mobility is negligible, she is not eating and lost a lot of weight. She is becoming incontinent and wears pads. She also has underlying problems of diabetes and one kidney. The hospital doctor’s first words were we are going to address her UTI and then look at social care at home. I asked for an NHS Continuing Healthcare assessment and they looked taken aback. Which direction should we progress in? Insist on an NHS Continuing Healthcare assessment, Derek. Thanks for that. It doesn’t look to good – I arranged a meeting for next Monday and the nurse said “she won’t meet any of the criteria”. I will read the Framework and take it from there. Thanks for the support will let you know the outcome. My son has epilepsy and an autistic spectrum condition. We have completed an NHS Continuing Healthcare (CHC) Checklist with his social worker, which will now be sent off and he has just been through a more detailed and up to date adult Learning disability assessment. This concluded that although he does not have a diagnosed Learning Disability his profiles were extremely low in many other areas which will make him a very vulnerable young man. So we are moving towards a combination of supported living through social care but there’s a chance that the NHS may put some funding in because of his epilepsy (which is mostly at night, meaning he will always need a night warden/support 24 hours). The option for him to live at home with us is not possible as we are in a very remote area and he doesn’t drive, so he will live in our nearest town. Have you any advice please in advance of his forthcoming review meeting….? My friends mother has been granted NHS Continuing Healthcare does she have to give up her Disability Living Allowance and Pension Credit?